In the early 80s, Mr. Chapdelaine embarked on a mission to rent computers by the day, week and month. In so doing, he realized that he needed a management system that addressed the unique needs of his business. Decades later, his solution (now named ADVANTAGE 365), is a nationally recognized Certified for Microsoft Dynamics software package for the equipment rental, sales and service industry. 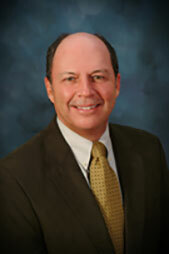 Mr. Chapdelaine is the President and Chief Executive Officer of RMI Corporation. He is primarily responsible for guidance and direction with issues related to the development and support of RMI's ADVANTAGE 365 Solution. His enterprise and work ethic have driven the growth of RMI and he continues to champion technology improvements to customer accounting processes. 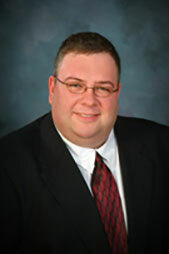 Mr. Chapdelaine is a CPA and holds a Master's Degree in Business Administration. In addition, he teaches Accounting classes at both Eastern Connecticut State University and Central Connecticut State University. As Executive Vice President, David G. Richards is responsible for RMI's technology and security policies as well as the company's operations, IT, Development and Client Services teams. Mr. Richards has been credited with bringing RMI's ADVANTAGE into the cloud and since joining RMI in 2004, his forward-thinking has been the key to company and product success. In his time at RMI, Mr. Richards has been committed to customer service thus consultant ratings have remained at an all-time high. RMI's Service Level Agreement is monitored personally by Mr. Richards and is what sets RMI's Certified for Microsoft Dynamics solution above the rest. Mr. Richards sits on the Employer Advisory Board at Eastern Connecticut State University where he is able to advise those entering the workforce and recruit RMI's next generation. Along with day-to-day duties Mr. Richards is actively involved in the on-boarding process. With more than two decades of experience working with Enterprise Resource Planning (ERP) and financial accounting systems, Mr. Richards holds the following certifications: Microsoft Certified Professional - SQL Server; Navision Financials Certified; Navision Developer Certified; Navision SQL Certified. Upon graduating from Central Connecticut State University in June of 2006 and attaining her Accounting degree, Mrs. Holowesko promptly joined the RMI team. Starting out as a staff consultant, Mrs. Holowesko became HDI certified and attained numerous Microsoft accolades making her a highly decorated certified Microsoft Professional. Mrs. Holowesko has worked with every department within the company making her an asset to any employee within the organization and the management team as well as RMI's software solution, ADVANTAGE 365. Her previous industry experience, innovative problem solving and customer service have been paramount in her success at RMI. Currently, Mrs. Holowesko's duties involve senior consultant functions, acclimating new team members, monitoring client services staff and RMI's celebrated SLA, and most importantly making sure that RMI's customers receive quality software & support. RMI Corporation is an equal opportunity employer. We offer a competitive salary, excellent benefits and ongoing training. If you are interested in any of the positions listed below, please send us your resume and cover letter. Also, RMI will be attending some college career fairs in the upcoming months, if you are a recent college grad or a current student, feel free to stop by our booth for more information.